NF usually originates in traumatic musculoskeletal wounds or operative sites, or follows other types of injuries such as minor cuts, scrapes, and insect bites. In the head and neck, the most common source of infection is odontogenic, with one series describing mandibular molar abscesses as the most common site of origin (17). 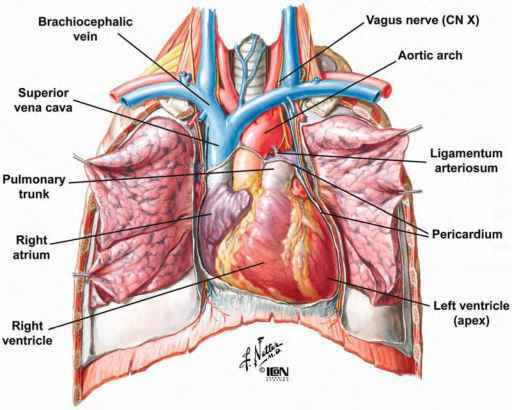 In the head and neck region, bacterial penetration into the fascial compartments can result in a related syndrome known as Ludwig's angina, or it may develop into NF (18). NF is caused by aerobic and anaerobic microorganisms causing massive tissue destruction and toxic shock syndrome. These infections are characterized by the absence of clear local boundaries or palpable limits, which contributes to the frequent delay in diagnosis and subsequent surgical debridement. The infections may be clostridial or nonclostridial in origin. The causative agent may be a single organism, most commonly Group A p-hemolytic streptococcal infection or S. aureus, or may be polymicrobial (19). The polymicrobial infections are caused by mixed aerobic and anaerobic pathogens. Many pathogens have been described, including p-hemolytic streptococci, staphylococci, coliforms, enterococci, pseudomonads, Bacter-oides, and Vibrio vulnificus. The clinical features of NF caused by V. vulnificus are different from those of NF caused by classic pathogens: when caused by V. vulnificus, especially in the warmer half of the year, the predominant skin lesions are edema and subcutaneous bleeding, and there is no superficial necrosis. Histology reveals obliterative endarteritis and thrombosis of the subcutaneous vessels. Other changes are necrotic superficial fascial and microbial colonization of the skin and fascia. Myonecrosis is rarely seen, except in clostridial infections. The presence of vesiculation, ecchymosis, crepitus, anesthesia, and necrosis is indicative of advanced disease. As the infection moves along the deep fascial plane, the speed of spread is directly proportional to the thickness of the subcutaneous layer. Staphylococci and streptococci produce extracellular enzymes that damage connective tissue. Bacterial metabolism may produce insoluble hydrogen, nitrogen, nitrous oxide, and hydrogen sulfide gases that result in subcutaneous emphysema. Though classically associated with clostridial infections, organisms such as Escherichia coli, Klebsiella, Peptostreptococcus, and Bacteroides may also produce subcutaneous emphysema. The more common anaerobic organisms seen in NF of the head and neck include Peptostreptococcus, B. melaninogenicus, and Fusobacterium.